Campiello is a large and well-loved Italian biscuit manufacturer, founded in 1972 in Cavallermaggiore, in the province of Cuneo in Piedmont. The company became an immediate hit thanks to its main product, the Novellino biscuit, known for its high quality due to carefully selected ingredients such as fresh milk and acacia honey, coupled with a unique production process which makes it so inimitable. The Novellino still maintains these values more than 40 years later. A series of well-known and loved advertising campaigns contributed to the brand's fame, and helped it obtain widespread national distribution. Following new market trends, the classic Novellino is now also available in “diet” versions, such as No Added Sugar, and Light low-cholesterol options. 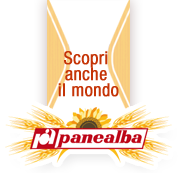 A major turning point came in 2008 when the company was purchased by “Panealba” (a major Italian producer of baked goods). The new owner gave an injection of energy, leading to the development of a series of innovative products such as “Moresco”, “Gran Chicco ai cereali” and “Mattinale”, as well as some missing key lines such as “i Biscotti del Buongiorno” breakfast biscuits and the “Cereabel” line with the highest quality ingredients. This was combined with modernisation of packaging and production lines, while maintaining the quality which has always set Campiello apart. We are continuing to “cook up” new things for the future, from streamlining our sales network to developing new product lines, finishing off with applying the most modern technologies to our production processes. All things considered, you could say that the company's “mission” is: “to develop and innovate while safeguarding tradition”.